Your pool should be shocked after heavy bather loads, long periods of hot weather and after heavy rains. By shocking your pool, you will eliminate chlorine odors and ensure a clean, healthy pool. 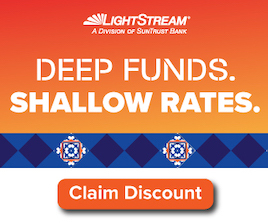 Shock should always be added to the deep end of your pool preferably at night. Chlorinated shock is much more effective if it is not subject to the sun’s UV rays. 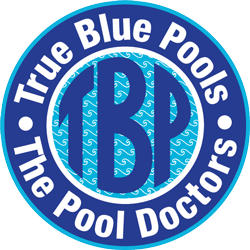 Be sure to consult True Blue Pools before beginning a shock treatment program to determine a program that’s best for your pool’s needs. Organic matter enters your pool through a variety of sources. Swimmers, rainfall and leaves all contribute contaminants which place a demand on the chlorine in your pool. Chlorine reacts to the presence of these contaminants by combining with them to form compounds known as “combined chlorine:These compounds are responsible for the noxious odors, skin irritations and eye-burn problems frequently misinterpreted as being too much chlorine in the pool. In reality, there is not enough chlorine to “oxidize” and eliminate the organic matter. The only solution to this situation is shock treating the pool. We offer four kinds of GLB pool water shock treatment products. The contents of these products are completely different but all provide excellent shock treating capabilities. Oxy-Brite non-chlorine shock oxidizer creates sparkling water and shock treats in one step. Containing DuPont™ Oxone®, a powerful oxygen-based oxidizer, its powerful formula rids pool water of contaminants that cause odor and irritation. It also brightens and clears the water with unique blue water brightening crystals. Shoxidizer is a proprietary blend of DuPont Oxone®, a powerful oxygen based oxidizer, and a chlorinating agent, combined with a pH buffer and a dry clarifier. This unique formulation provides the benefits of oxygen-based oxidation, while boosting free chlorine concentrations. This one-two punch keeps water sparkling clear by oxidizing and eliminating organic contaminants. Since this product is buffered, it will not affect water balance; therefore pH and total alkalinity will remain unchanged. The addition of dry clarifier aids the oxidation/ filtration process so water contaminants are more readily removed by routine filtration. This product is specially formulated to prevent dull, hazy water. Add this product to pool water every week to oxidize contaminants introduced by bathers and to maintain sparkling clear pool water. SuperSonic sanitizes, clarifies, fights algae and won’t over-stabilize pool water. It is safe for use on all pool surfaces and leaves no residue. Contains 73% available chlorine. GLB Granular is a stabilized chlorine that can be used for everyday chlorination or shock treatment. It is also pH neutral.